The story begins more than 10,000 years ago, before the cooling effects of the last great ice sheet of northern North America had been completely dissipated by a changing climate. The basin was both cooler and moister than it is today. What is now a parched land was heavily grassed over and seamed with tree-lined streams. Introduce into this picture such animals as the mammoth, camel, horse, ground sloth, tapir, wide-horned bison, and four-horned antelope, all animals which have since disappeared from the scene. (The modern horse was reintroduced in recent times.) Finally also usher in man, a hunter and gatherer of Nature's foods, a relative newcomer to a new world from northern Asia via the Bering Strait route. These probable ancestors of the present-day American Indian began wandering southward through the continent, eventually to emerge in the valleys and on the plateaus of what is now the southwestern United States. While many of these peoples of this and later migrations spread widely over the continent and south across the Isthmus of Panama and throughout South America, some remained in the desert and mountain regions of the Colorado River Basin to become the Southwest's first pioneers. Cochise Culture.In southeastern Arizona, erosion during the past 50 years by such streams as San Simon Creek, San Pedro River, and others, has exposed deep below the present surface the camp sites of one of Arizona's earliest people, the Cochise Culture. Fortunately, the accumulated natural overburden of clays, silts, sands, and the like, mirror the geological events of bygone millenia and provide the student of past climate with a measure of time. Expert opinion places the age of the oldest tools of Cochise Man, covered by and imbedded in the deposits laid down in a moist period, as older than 10,000 years. These tools consist mainly of milling stones and hand stones, primitive choppers and scrapers, all indicative of a food-gathering economy which exploited native vegetal foods, as contrasted to the use of projectile points and fine-cutting implements associated with the Folsom hunters of the high plains east of the Rocky Mountains. The animals of the time included the mammoth, horse, bison, camel, and a large wolf, all of which have since vanished from the scene. In the same region where the evidences of Cochise Man have been found, occur also traces of a later people, assignable to two successive periods of time on a geological basis. They persisted through the periods when climate was changing from the moister, cooler type towards the climate we have today, and the animals were modern, or those which still inhabit the area. The record of these people ends about the time of Christ, when profound changes in the whole cultural make-up are recorded. 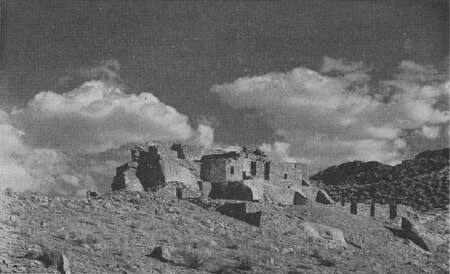 Figure 33.An Indian ruin on the Verde RiverTuzigoot National Monument, Ariz.
Because of similarities between the tools and the way of life of these people and the still earlier Cochise Culture, a continuity of occupation has been inferred, giving us, in fact, an inkling of human affairs in this region over thousands of years rather than for centuries, and supplying information, though sketchy, through that long interval between the truly ancient native American and his younger successor of the time of Christ, an interval which elsewhere has not as yet been filled in. Ventana Cave. How widely the people we call the Cochise Culture ranged through the Southwest at this remote time still remains to be determined, but telltale traces have been found beyond the reaches of the southeastern tributaries of the Colorado River in New Mexico and Old Mexico. To the west, within the Colorado River Basin, in the area now inhabited by the Papago Indians, an important cave (Ventana Cave) has recently been excavated, throwing further light on these people and their culture. 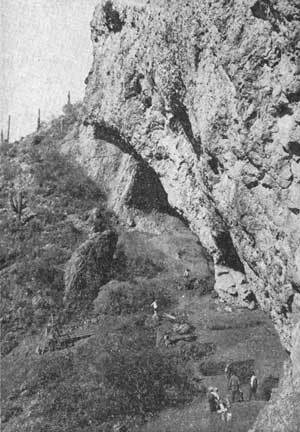 This cave is located some 80 air-line miles west of Tucson and a comparable distance south of Phoenix. The significance of this cave lies in the fact that it was inhabited, with few interruptions, from almost the present time back to that distant era of moist climate approaching the last glacial period. Here the debris which accumulated through this long occupation appears layer upon layer in the order of time. The tools of the Cochise Culture lie in the middle portion towards the base of a 15-foot-thick trash pile. Directly associated with these tools are other types of chipped stone implements, like those of the people of the lower Colorado River Basin and the Pinto and Mohave Basins of southeastern California, giving some indication of contemporary neighboring groups. But, more important is the fact that at the very bottom of Ventana Cave in a rocklike layer were a number of stone tools used by hunters and with them occurred the bones of extinct bison, sloth, tapir, horse, and the four-horned antelope. Some relationship with the Folsom hunters of the high plains is indicated, as well as with an early folk whose products have been found toward the mouth of the Colorado River. This material is considered, upon geologic evidence, as more than 10,000 years old. Along the shores and terraces of ancient dry lakes and river beds in southeastern California and southern Nevada occur additional remains of Early Man. These include numerous camp sites and stone artifacts of early hunting and seed-gathering peoples. These camp sites are believed to have been occupied approximately eight to ten thousand years ago at a time when moist climatic conditions prevailed over the area. Distinctive types of projectile points set off these from the Cochise and Folsom Cultures to the east. Many of the animals so eagerly hunted by these ancient Indians have long since disappeared, becoming extinct during the next few thousand years. Among these animals were the native horse, camel, mammoth, wide-horned bison, and ground sloth. 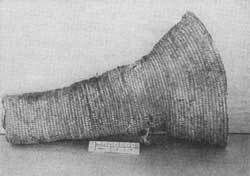 The giant ground sloth is of particular interest in this region because remains of the dung, hide, hair, and bones of this huge vegetarian have been found in a number of caves. Gypsum Cave.Gypsum Cave, located in a spur of the Frenchman Mountains a few miles northwest of Hoover Dam, is of primary importance. Excavation of this cave revealed several different culture horizons, ranging from modern Paiute Indian material on top, down through Pueblo and Basketmaker objects, to the bottom, where, below an intervening sterile layer, were fire hearths and man-made articles, together with bones of the ground sloth, camel, an extinct species of wolf, and the native horse. These earlier artifacts included a distinct type of projectile point, scrapers, cordage, and dart foreshafts and pieces of shafts, the latter often decorated with green, blue, and red pigments. Geologic evidence places this lowest level at about eight to nine thousand years ago. Remnants of another, possibly allied, culture have also been found a few miles west of Gypsum Cave near Las Vegas, Nev. Here are similar projectile points and charcoal beds of old hearths occurring in open sites in strata that contain camel, horse, and bison bones. The same type points have also been discovered in a layer of horse dung in Etna Cave approximately 100 miles north of Gypsum Cave. Little Colorado River Terrace Culture.Farther to the east, along the Little Colorado River, extending from the vicinity of Cameron upstream to Holbrook, Ariz., are a series of prehistoric camp sites. These usually occur on the isolated flat tops of low hills and ridges representing all that remains of an ancient alluvial gravel terrace. The sites are all found at about the same general elevation above the river bed and consist of remnants of hearths and such associated percussion-flaked stone artifacts as crude hand axes, choppers, gouges, and keel-shaped scrapers. So far no projectile points that could definitely be allocated to this culture have been found. This so-called Little Colorado River Terrace Culture may be as old as the early occupation of Gypsum Cave. Eden, Wyo.Far to the north, near the headwaters of the Green River southeast of the town of Eden, Wyo., lies an extensive site of what has been called the Yuma Culture which centers east of the Rocky Mountains in the high plains. Here were discovered several varieties of the Yuma projectile points or knife blades, related to the famous Folsom points and similar in technique. They were found together with fossilized bison bones in sand and clay deposits, probably postglacial in age. In addition, many hand choppers and scrapers of what may prove to be an old culture occurred on gravel terraces and in sand blow outs in this same region and south along Blacks Fork Valley. Further excavations at the Eden site may furnish new data on the age of the Yuma Culture and on migration routes from the Great Plains into the Colorado Basin. What all this adds up to is that man was here in the Colorado River Basin much longer than many of us have supposed and that the land, which now gives sustenance in abundance to modern man through planned use, was capable thousands of years ago of supporting a varied, though doubtless sparse, population. The big task which confronts the archeologist is filling in the gap between the hunting and gathering peoples of roughly 10,000 years ago and the higher cultured folk, dating since the time of Christ, who added such elements as agriculture, pottery, and formal architecture to their roster of accomplishments. For much of America, this period is blank, placing the culture historian in a poor position when he endeavors to account for happenings in the interim. With the possible exception of the archeological remains at Ventana Cave, there is a definite break at all sites between the older and later horizons of culture. As to just what happened over the intervening thousands of years, we can only conjecture. These earlier inhabitants may have entirely left the area and pushed farther to the south or, again, some may have remained and been joined by later bands of immigrants. At all events, about the beginning of the Christian Era, profound changes were wrought among the native southwestern people by the introduction from the south, from what is now Mexico, of several important culture elements. Agricultural products, such as corn, beans, and squash, and the knowledge of how to grow them, must be given first importance. The adoption of agriculture induced a more sedentary and economically secure form of life, which, in turn, paved the way for further advances materially and socially. Agriculture is and always has been the basis of all civilization, and here in America corn was the foundation upon which these later cultures were based. With the practice of agriculture, there arose an opportunity for group life, for the stimulation of mental activity by human contacts, with leisure for thought and invention. The art of making earthenware vessels, or pottery, was another addition, opening new opportunities for food preparation and storage, and providing a new outlet for aesthetic achievements. In the first place, there are reasons to believe that the Mogollon Culture is basically the connecting link between the pre-agricultural folk before the time of Christ and the later higher agriculturists. Early sites of the Mogollon Culture produce a number of stone implements which suggest a derivation from the latest stage of the Cochise Culture; or, expressed in another way, the chief difference between the two was the addition of pottery, agriculture, and perhaps a more formalized house type to the late Cochise complement of stone tools, to produce the oldest of several horizons of the Mogollon Culture. These new elements probably emanated from the south of Mexico, where native cultures were already somewhat farther along the road towards civilization. A newly excavated village of these people in the Forestdale Valley, just below the Mogollon Rim, south of Showlow, Ariz., has given us tree-ring dates at about 300 A.D. The significant feature here is the fact that the residents of this village had a little pottery of brown color while their contemporary Anasazi neighbors to the north seem to have had no pottery. This sheds some light on a much-disputed point in southwestern prehistory as to whether pottery was locally invented, by whom, and when. 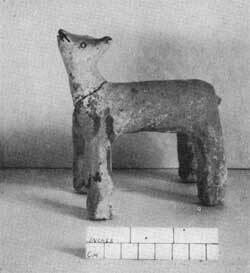 It begins to appear that these people were among the earliest to know the ceramic art, undoubtedly introduced from the south as already stated, and that they were party to passing it on to other southwestern people. The same may be true of agriculture, although here more evidence is needed. Thus, while not creators of culture, the Mogollon people certainly aided in the early diffusion of the elements mentioned. Another excavated early Mogollon site is on the San Francisco River in southwestern New Mexico; others in this general area are farther east outside the Colorado drainage. Their history is still far from complete, but we can say they did not achieve the illustrious heights of progress enjoyed by either the Hohokam or Anasazi. At a relatively early time, perhaps by 700 A.D., they already were being assimilated by their more aggressive neighbors, the result being that after this time we lose sight of them as such. It is interesting to speculate on the effect environment had on the Mogollon people. Their domain, for the most part, was rugged and forested territory below the Mogollon Rim stretching off in a southeasterly direction. This is a mountainous country running diagonally to the southeast, most of it forested, well-watered, and originally well-stocked with game, but deficient in the amount of land suitable for cultivation. Prominent features include the White Mountains at the southeastern end of the Mogollon Plateau and the Mogollon Mountains in western New Mexico in which the headwaters of the Gila River rise. There is no doubt that the Mogollon people farmed in favored localities, but these were limited, and so, while the Mogollon people knew the benefits of agriculture, they nevertheless followed the older form of food gathering too. And this latter pursuit gave them cause to move about, and to widen their territory and extend their range of contacts with other tribes. The area inhabited by the Mogollon Culture was as large as that claimed by their contemporaries, the Hohokam and Anasazi, and geographically they share equally with the others in any consideration of southwestern prehistory. The foregoing remarks on the Mogollon Culture have by no means fully covered the archeology of the southeastern portion of the Colorado River Drainage Basinother tribal groups also were involved, particularly after 700 to 800 A.D. They will be considered following the discussion of the Gila Basin and the White Mountains area. Figure 35.Hohokam pottery effigy from Casa Grande National Monument, Ariz.
Hohokam Culture.The Gila River and its important tributaries, like the Salt, San Francisco, and Blue, rise in the great mountain mass of east-central Arizona and west-central New Mexico. From the high altitudes they descend through valleys and tortuous canyons, and eventually break forth on the lowland deserts of central and southwestern Arizona. Here the rivers become wide and sluggish, running between low channel banks carved out of the incredibly rich bottom land. These rivers, the Gila, Salt, and several minor branches, truly determined the development of a tribe known as the Hohokam (a Pima word meaning "the people who have gone"), farmers extraordinary and one of America's colorful pre-Columbian peoples. It was a case of Nature setting the stage and man"s awareness of what could be done in spite of strong odds against him. Just where the Hohokam came from and what their exact origin is remain moot questions. There are some indications that Hohokam, like the Mogollon people, were the descendants of an earlier local population. At any rate, we first begin to recognize them at about the beginning of the Christian Era and have traced their development for the ensuing 1,400 years. They centered in the present region of Phoenix on the Salt River, and west of Florence on the Gila where the development reached its peak. The Hohokam frontiers lay far beyond this nuclear territorywest to Gila Bend, north towards Prescott (one contingent broke away from the core and went as far as Flagstaff), east into Tonto Basin and up the Gila to Safford, and southeasterly to about the Mexican border, notably in the valley of the Santa Cruz. To the south, close relatives of the Hohokam were at home. They will be discussed a little later on. Rather than evidencing imperialistic tendencies on the part of the Hohokam, this large area of habitation indicates a natural expansion to those parts where they could follow the particular type of agriculture for which they are famousirrigated agriculture. Who it was among the Hohokam to first try ditch irrigation must forever remain an unsung hero. In fact, a single person may not have been responsible for this achievement. Like other basic steps of man to reach a higher state, it may have been the result of common striving where each contribution was infinitesimally small and perhaps unrecognized. In any event, perhaps by 500 A.D., or soon after, the Hohokam had learned enough to divert some of the water from the rivers along which they lived, and conduct it through artificially dug canals to the baked desert ground nearby. It took no great genius to see that more canals spelled more land under cultivation, which in turn would mean more food and greater economic security. But it did take leadership of a high order to muster and direct the labor to construct and maintain scores of miles of ditches and to equitably distribute the water among a number of settlements on a single canal. The archeologist has no records to support the claim that the Hohokam were the originators of the "Water Users Association" idea, but prescribed rules and obligations must have been in effect. To come down to specific examples, in the hey day of the Hohokam Culture, from about 1000 to 1400 A.D., the individual canals were both wider and longer than they were before or after this time, meaning that more land was under cultivation to provide adequately for an increasing population. Urban centers came into existence, sometimes far from the streams to which people were formerly bound, because now water for both irrigation and domestic use could be directed to distant locations when the terrain permitted. Solely by hand labor, for beasts of burden and mechanical aids had not yet appeared on the scene, the Hohokam constructed several hundred miles of canals in the Gila and Salt River Valleys alone, and it is fair to assume that these brought tens of thousands of acres under cultivation where the plants known to the Hohokamcorn, beans, squash, and cotton could be grown. These canals in places were 10 feet deep, and the main arteries were from 30 to 50 feet wide, rivaling in size those of our modern systems. One cannot see the remnants of the Hohokam canals or look at a map of the systems without being duly impressed by the prodigious expenditure of human labor that went into their construction. These systems represent possibly the greatest investment in labor put into any strictly utilitarian enterprise by the pre-Columbian Indians north of Mexico. White farmers, when they first set to reclaiming the land along the Salt River east of Phoenix, were saved many weeks of back-breaking work when they were able to recondition old canal sections and incorporate them in the new developments. We marvel today at what irrigation has done, thinking little of those trail-blazing Hohokam who more than ten centuries ago made an agricultural paradise out of the desert. The Hohokam civilization, like all others, did not achieve its rich development in short order. Archeologists have been able to show that centuries of time were involved in the process. From the formative stage, at about the time of Christ, the culture slowly expanded its ability to extract a livelihood from the soil, and grew materially, socially, and politically. By 1000 A.D. the pinnacle of progress had been reached. This was enjoyed for perhaps four centuries, until about 1400, when the record of their society becomes. dim and eventually almost lost. The causes for the decline and what happened to the Hohokam are fields for interesting speculation. As yet, we cannot supply any satisfying answers. The dissolution does not appear to have been rapid. This suggests the possibility that the Hohokam were unable to cope with situations affecting the very basis of their economy, namely, agriculture. We must recognize the possibility that something went wrong with their irrigation system. Nothing would tend to disrupt urban life more completely under primitive conditions than crop failure, except perhaps an attack by hostile people, for which there is no evidence in this case. It may be that the Hohokam, with genius enough to develop irrigation systems, were not alert to the dangers of overcultivation or the sterilizing effects of alkaline water. There are some indications that the Hohokam have survived in the form of the Pima Indians who, ever since the first Spanish contacts, have occupied the center of the Hohokam area, and who, in a dilute way, have perpetuated many of the older customs. This connection is not yet demonstrable but it is highly probable. Nothing has been said as yet of the other chief characteristics of the Hohokam. Being agricultural, they needed permanent homes. These were never pretentious, like the many-storied stone houses of the Anasazi, but were pole, brush, and dirt structures thrown over shallow excavations in the ground and generally erected some distance apart, which made for informal and loosely arranged villages. The shape of these houses changed through time, but this essential type did not change even in the fourteenth century, persisting after the arrival of the Salado people, a Pueblo group, who joined the Hohokam on a friendly basis and lived with them. 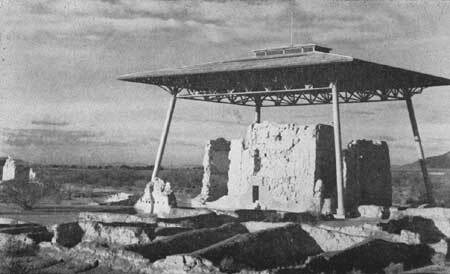 Salado houses were pueblos, structures with room joined to room above ground and sometimes several stories in height. This architectural intrusion evidently had little permanent effect, for, after the Salado withdrawal from the area, at 1400 or soon after, this building form did not survive. The widely known Casa Grande near Coolidge is an impressive monument to the architectural ability of the Saladoans, dwarfing the house-building accomplishments of the Hohokam. The circular dwellings of the modern Pima are essentially similar to Hohokam houses. 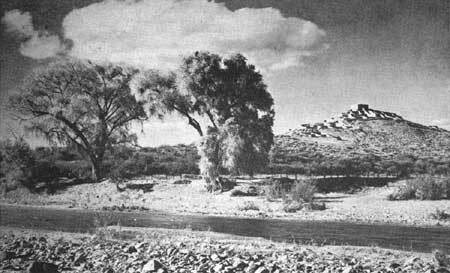 Figure 37.Casa Grandea monument to the architectural ability of the SaladoansCasa Grande National Monument, Ariz.
Little can be said about the physical appearance of these River Hohokam because of their custom of cremation. Throughout their entire history this was the prevailing custom for disposing of the dead, and, unfortunately, the ashes and calcined bone fragments found in Hohokam burial grounds offer little on which to base judgments of an anthropological nature. 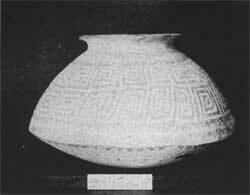 Figure 38.Hohokam jar from Casa Grandemade about 1100 A. D.
Among the arts and crafts, the Hohokam were particularly skilled in the production of a buff-colored pottery decorated with a red-brown paint. This pottery changed in style of design through the centuries but the archeologist has no difficulty in relating it to these people wherever found, as one of their most distinctive products. In stonework, they gained fame in sculpturing and carving small-scale objects. Most, if not all, of these were useful things, like slate palettes on which paints were compounded. Another material which they favored was marine shell imported from the Pacific Coast and the Gulf of California. This substance lent itself particularly well to the production of ornaments, bracelets, rings, pendants, and beads, by such techniques as grinding, cutting, and carving. One of the exceptional achievements along this line was decorating shell by etching with an acid, covering those areas not to be affected by some acid-resisting substance. In developing this principle the Hohokam appear to have been ahead of all other contemporary people of the world. The Hohokam also produced many lesser items which, together with those mentioned, gave distinctive quality to their culture. We know little, however, about one class of their productsthings made of wood, skin, feathers, fibers, and the like. 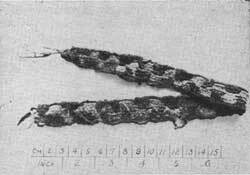 There is abundant reason to believe that the Hohokam were highly skilled in textile weaving, using cotton as the base fiber, perhaps as far back as 700 A.D., but this substance, along with the other perishable materials, has not withstood the ravages of time except in a few favored spots. 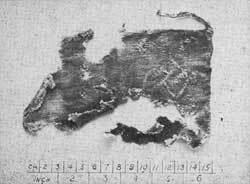 Figure 39.Corner of embroidered cotton blanket (Salado culture about 1350 A. D.) from Tonto National Monument, Ariz.
Geographically, the Hohokam were located in south-central Arizona, adjacent to what is now Mexico. Of all the early southwestern tribes, they were thus most advantageously situated to establish contacts by trade or otherwise with some of the high cultures of central Mexico. A number of items of undoubted southern origin or inspiration have been found in Hohokam villages of about 1000 A.D. and later. They show that the Hohokam actually were in touch with their southern neighbors. Cast copper bells and mosaic pyrites plaques are significant examples. The ball courts, or gaming areas, of the Hohokam are certainly traceable to a southern parentage. All of this adds up to the fact that the Hohokam were not only creators of culture but that they also assimilated what came to them from other peoples, provided it was something they wanted. In dating the stages of the Hohokam development, the archeologists have been able to employ the tree-ring system only in the most indirect way. Tree-ring dating has been most successfully applied to the Anasazi Culture in favored places in the Upper Sonoran and Transition Zones because it was here that the suitable trees, used in the process, grew naturally and were used as architectural material by the natives. Trade connections between Hohokam and Anasazi are seen in the interchange of pottery. Pottery of northern origin, dated in the Anasazi area by tree-rings to periods from the sixth century to the thirteenth century, aids in reaching a conclusion as to the age of Hohokam ruins. On the basis of much evidence of this sort, the Hohokam are known to have occupied the Gila-Salt Basin from near the beginning of the Christian era to the fifteenth century. Figure 40.Headbandslit tapestry weave in blue and whiteSalado Culture about 1350 A. D.
An important event in the final century of this time span was the arrival of the Salado tribe from the northeast. These were a pueblo-dwelling people, and as the consequence of some far-reaching changes in the Anasazi area of the fourteenth century, they moved south and west to join ranks temporarily with the Hohokam. They introduced a new architectural form, already mentioned; the custom of extended inhumation (burial, uncremated, lying on the back); several new kinds of pottery, and other material elements; and perhaps a different social and political system, too. But the mingling of these two different tribes, as far as we can see it at this late date, was on a friendly plane of mutual assistance, underlined by the fact that during this time the canal systems appear to have reached their greatest areal development. This expansion and the increased task of maintenance must have been cooperatively achieved. 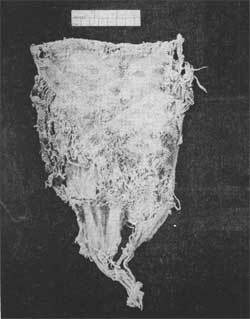 Figure 41.Salado breechclothdiamond twill weaveabout 1350 A. D.
While the main group of Hohokam along the major rivers were enjoying the security of an abundant agricultural life, related people in the desert to the south of them were living a much more precarious existence. These we may call the Desert Hohokam. Their area provided them with little surface water, least of all running streams which could be turned to irrigation. The result was an extremely limited agriculture, restricted to a few favored spots, and a much heavier reliance upon native foods which fortunately were available in the desert. The history of this branch of the Hohokam is only now being determined, but it can be said that culturally they lagged far behind their kinsmen to the north along the rivers, and that after 1400 they, too, seem to disappear from the record. Despite this gap, the modern Papago Indians who now occupy the same area are doubtless their descendants, just as the Pima may have been linked with the River Hohokam. Patayan Culture.Patayan Culture, named after a Walapai Indian term signifying "the ancient ones," is a recently recognized and still some what poorly defined culture. It centers along the Colorado River Valley south of Hoover Dam, radiating out from there north to the Virgin and Muddy River areas, east to the vicinity of Flagstaff, and south to the Gulf of California. Just how far it extends westward into the desert areas of eastern California is not known, although present indications are that it penetrates into the Mohave Desert region. The existence of this culture was recently revealed through surface surveys yielding pottery types distinct from others in the Southwest. On meager archeological evidence, this culture has been divided into at least two branches, one centering on the Colorado River from Hoover Dam to Bill Williams River, and the second extending from the latter river south to the Gulf of California. To the east of the Colorado River are two other areas where Patayan influence was strong, including the region west of Flagstaff where Anasazi and Patayan Cultures met and mingled, and the area around Prescott where a number of complexes occur. Figure 42.Salado yucca fiber sandal. Of these various branches the Cerbat group, that extending along the Colorado River north and south of Needles and eastward for 50 or more miles, is believed to represent the purest Patayan Culture. Although several related sites have been excavated to the eastward, so far no site in the Cerbat area has been excavated. Thus, our knowledge of this important basic culture is limited almost entirely to what information has been secured from surface surveys. These surveys have shown that occupation of this central area was relatively heavy in prehistoric times, as well over 300 Patayan sites have now been located. Due to our lack of adequate information, the reconstruction of the prehistory of this area is largely based on conjecture. However, it seems evident that about 1500 years ago groups of hunters and seed gatherers, possibly nomadic human-speaking peoples, diffused into the Colorado River Valley from southern California. There they soon came in contact with outlying groups of the already established southwestern cultures, the Hohokam in the south and the Anasazi to the north. Within a short time these nomadic groups took up agriculture and pottery making and began to develop a distinctive culture of their own. From a study of the materials recovered from the surface surveys we can give a fairly accurate picture of the life of these peoples. In contrast to the Upper Colorado River, where narrow and deep canyons prevented large villages and agricultural fields, occupation here was heaviest along the Colorado River itself. About 20 miles below Hoover Dam the valley widens out, with extensive sandy flats where agriculture could be practiced by planting in areas left moist through the retreat of the annual spring floods. Due to these floods, however, evidences of habitations on the flood plains are infrequent, the houses having been either washed away or buried beneath layers of mud and sand. Houses probably consisted of circular brush and mud shelters or earth lodges, temporary shelters at best. Agriculture was extensively practiced, corn, beans, squash, and cotton being raised. The ceramic remains consist of sherds of pottery shaped by the use of paddle and anvil as contrasted to the coiled and scraped technique of the Anasazi. This paddle and anvil technique was probably derived from the Hohokam area. Patayan pottery is usually reddish, buff, brown, or greyish-brown, some types showing a glazed or crusted surface. Although much of the pottery is plain, simple decoration was sometimes applied in red or black. Stone implements included mortars and metates, arrow points, scrapers, choppers, knives, pottery anvils, and hammerstones. It is quite likely that these Indians cremated their dead. Through the presence of intrusive black-on-white pottery types traded in from northern and northeastern Arizona, types that have been accurately dated by means of tree-ring studies, it is evident that this Patayan Culture flourished from about 700 to 1100 or 1200 A.D. Whether these Indians left the Colorado Valley after 1200 or whether they remained is not definitely known. We do know that when the first white explorers arrived in the area during the sixteenth century they found a number of closely related Indian tribes occupying the entire valley. Furthermore, these Yuman speaking people possessed a culture strikingly like that of the earlier Patayan people. These Yumans practiced agriculture in much the same way, raising the same products, lived in domed brush and mud houses along the banks of the river, made similar reddish-brown pottery vessels, and cremated their dead. Linguistic evidence divides the Yuman peoples into two branches, the Delta and River groups, a division which is shown by archeological research to have also existed in prehistoric times. During the historic period, the Hopi Indians of northern Arizona carried on extensive trade relations with the Mohave Indians of the Colorado River. That these trade routes were utilized in earlier times is shown by the presence of late prehistoric Hopi pottery of fourteenth century and later types in sites along the Colorado River and westward in the Mohave Desert area. From all of these indications it is highly probable that the modern Mohave and Yuma Indian tribes represent the descendants of the earlier Patayan people. However, this question cannot be definitely answered until a number of Patayan sites have been carefully excavated and thoroughly studied. The sites are small and in conspicuous, since there are no standing remains of permanently built houses. 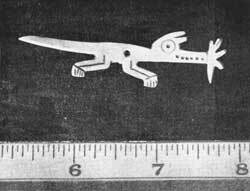 Figure 43.Pueblo BonitoChaco Canyon National Monument, N. Mex. Anasazi Culture.North and northeast of the Hohokam and Mogollon domains is the vast and rugged area which was home to the people known as the Anasazi, the ancient people, so called by the Navajo Indians who settled among the ruined villages of this culture several hundred years ago. The land appears incapable of supporting the sizeable prehistoric population indicated by the countless thousands of ruins dotting the plateau. However, the present cycle of degradation, or arroyo-cutting, and the consequent lowering of the water table, is largely of modern origin, materially aided by overgrazing since about 1880. Formerly, within the memory of living persons, numerous tree-lined streams occurred over the plateau country, with grass thickly covering the surrounding valleys. Segie Canyon in northern Arizona illustrates this quite well. Less than 100 years ago the broad valley floor was covered with grass and trees and dotted with numerous lakes and lagoons. Today the soil is barren and a deep, broad wash extends nearly from wall to wall of the canyon. Thus, keeping in view the former picture of this region, it is readily seen why prehistoric man settled here and how he was able to live so abundantly off the land for centuries. Our first definite knowledge of the oldest settlers of this Anasazi area comes about the opening of the Christian Era. It is generally thought that early nomadic occupants of the plateau obtained corn and the knowledge of how to plant and cultivate it from the groups to the south, probably from people of the Mogollon Culture. The earliest known "Basketmakers" had corn. Although agriculture was practiced by these people, wild vegetable products and wild animals were still extensively utilized. With the change to a more sedentary existence, it soon became necessary to provide storage places for surplus corn. Dry caves were used for the construction of circular or oval pits, often slab-lined, with earth-covered pole and brush superstructures. These storagecists were frequently put to a secondary use, serving as burial chambers; and, since material objects used in life were usually placed with the deceased, we derive a considerable amount of information of the people and period from a study of articles found in the caves. These people were skilled makers of coiled baskets, often decorated in color, twined-woven bags, fur-cloth robes, sandals with toe fringes and human hair cord ties, rope, head bands, snares, large game nets, and stone and shell ornaments. Weapons included the throwing stick or atlatl, curved, grooved wooden clubs, and elk antler clubs. These people lacked, however, the bow and arrow, fired pottery, and the hafted ax. Although this Basketmaker Culture, so-called because of the great abundance of coiled baskets found in the caves, reached its highest development in the San Juan drainage in southern Utah and northern Arizona, it extended over practically the entire Anasazi area. One of the most important early Basketmaker sites yet found is Dupont Cave, near Kanab, Utah, a cave which was dated by means of tree rings as showing a Basketmaker occupation as early as 217 A.D. 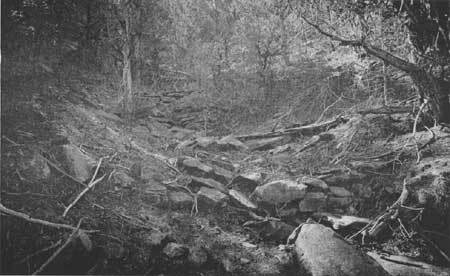 Figure 44.Check dams built by the Anasazi at Mesa Verde National Park, Colo. In the fifth century, fired pottery was developed, possibly from ideas brought in from the Mogollon people. We have also the first beginnings of architecture at this time, with the construction of circular, oval, or rectangular pit houses, some in caves, mostly in the open valleys and on mesa tops. Other new elements and ideas coming in include the bow and arrow, the grooved stone ax, the cultivation of beans, domestication of the turkey, and widespread use of turquoise for ornaments. From these Basketmakers there eventually emerged by the eighth century a somewhat different culture type, the Pueblo, the result of evolution of culture and probably of the adoption of new cultural elements from outside and perhaps intermingling with new peoples. Cotton was introduced, and fabrics made from it soon assumed an important place in the daily life of the people. Other innovations included improvements in pottery making, neck-banded utility vessels, twilled woven sandals and baskets, and the development of the kiva or underground ceremonial room. Within a short time houses changed from single-room, semi-subterranean dwellings to above-ground structures with masonry walls, until by 1100 A.D. great multistoried communal dwellings of several hundred rooms were being constructed. These large apartment houses were built both in cavesthe cliff dwellings and in the valleys, and their ruins may still be seen today at such sites as Cliff Palace, Pueblo Bonito, Wupatki, and Walnut Canyon. Specialization rapidly took place in the various arts and industries, the apex of development in the San Juan area being reached between 1000 and 1300 A.D. Pottery making became a highly specialized art, with very elaborate black-on-white decoration and the evolution of several polychrome types and of corrugated wares. Since agriculture was the principal occupation of these prehistoric pueblo people, their communities are largely to be found concentrated along the streams and rivers where water and arable land could be utilized for the fields of corn, beans, squash, and cotton. Nature was against elaborate irrigation systems of the Hohokam type, but it did supply a more bountiful rainfall than in the desert. However, in some cases, at least in this northern country, as in the Muddy River Valley in Nevada, it is evident that ditch and canal irrigation was practiced to a limited extent. The shortage of rich bottom lands in the mountain valleys was partially offset by laying up rows of rocks along the contours on mesa tops as well as in the valleys. This stonework spread out the moisture which fell as rain, putting it where it would do the most good and preventing much of it from running off and thus being lost. Small check dams of rock built across arroyos are sometimes associated with this form of contour terracing, an obvious attempt to check the run-off. A study of many of these ruins will show how carefully sites for fields were selected so that full advantage could be taken of the surface run-off from higher ground. Since both flowing water and rainfall were limited over most of this southwestern country, these early pioneers utilized what little they had to the fullest extent. Figure 45.Anasazi basket quiver (made about 1200 A. D.) from Canyon de Chelly, Ariz.
One of the best areas where these aboriginal efforts at conservation and intense cultivation of seemingly useless land may be seen is in the eastern part of the San Carlos Indian Reservation along the northern flank of the Natanes Plateau. Here hundreds of acres were terraced and farmed between about 1000 and 1400 A.D. Centuries later, in the 1930's, the Civilian Conservation Corps used essentially the same system to check erosion and aid in re-establishing the vegetation in denuded areas. The Pueblo Indians, however, did not use the main Colorado River Valley as much as they did the smaller tributaries of the Colorado. From Marble Canyon south and west throughout the entire length of the Grand Canyon, sheer walls rise almost directly from the river's edge, and there was little available land on which agriculture could be carried on. Also, the tremendous floods during the late spring and summer would periodically wipe out their fields. Thus the canyon served mainly as a hunting and seed-gathering area for these people, and most of the archeological sites within the canyon itself are those of small temporary camps on gravel benches or in small caves. In an area that is today noted for its thousands of mines, it is interesting to record that the first mining was carried on as early as twelve to fifteen hundred years ago. However, it was not for gold or silver or other minerals we so eagerly search for today that these early miners dug. They were interested chiefly in rock salt, turquoise, and such paint materials as hematite and limonite. Numerous salt mines have been found along the banks of the Verde and Virgin Rivers, both open pit mines and natural caves being utilized. Turquoise pit mines near Hoover Dam contain pueblo potsherds and stone picks and hammers. Production of surplus quantities of turquoise and salt enabled extensive bartering to be carried on with other areas. A number of regular trade routes have been traced over the legion. That the turquoise industry was an important one long before the discovery of America is shown by the hundreds of thousands of turquoise beads and products found in the ruins of the Southwest. 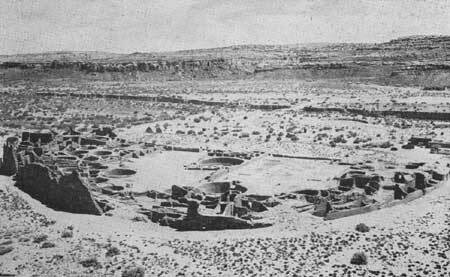 As many as 30,000 beads have been found in one room of Pueblo Bonito in Chaco Canyon National Monument, N. Mex. An unusual phase of the ceremonial life of these pueblo people may be inferred from the many petroglyphs which occur throughout the area. These figures, pecked with small hand stones on large rocks or on smooth cliff walls, present a wide variety of geometric and naturalistic designs, including circles, scrolls, wavy lines, and human and animal forms such as snakes, lizards, turtles, mountain sheep, and deer. Petroglyphs are found in every section of the basin, but they vary from area to area and from culture to culture. They can seldom be interpreted, although many undoubtedly represent such things as ceremonial symbols, good-luck charms, clan symbols, and direction markings. 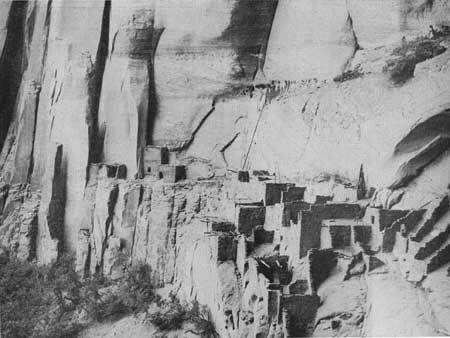 Figure 46.White House RuinCanyon de Chelly National Monument. Since populations were concentrated in river valleys adjacent to an adequate water supply, and since each drainage area was set off from neighboring ones either by mountain ranges or by intervening regions hacking water, there gradually arose distinct culture units in each of these drainage areas. Distinctions are frequently found in pottery, particularly in tempering materials, vessel shapes, and styles of decoration, and, to a lesser extent, in architecture and other elements of culture. During the height of the Pueblo Culture, from about 1050 to 1300 A.D., distinct culture areas are noted in the Kayenta region, Mesa Verde, Chaco Canyon, Little Colorado River Valley, Flagstaff, the Kanab area north of the Colorado, the Upper Virgin, and the Lower Virgin. While most of these areas present relatively pure Anasazi Culture, in several areas there was a decided overlapping of cultures. In the Lower Virgin area there is a blending of the Anasazi and Patayan, typified in such pueblos as Mesa House and Pueblo Grande de Nevada. In the San Francisco Mountain region around Flagstaff, there is a blending of Anasazi and Mogollon, together with numerous elements of the Hohokam and Patayan Cultures. During the latter part of the thirteenth century the entire northern Anasazi area was abandoned, the people from the eastern San Juan moving into the Rio Grande Valley and those from the western area pushing south and southeast into the Little Colorado drainage and the mountains of eastern Arizona. No definite cause for this abandonment is known. However, from tree-ring studies we know that the Southwest suffered a severe drought during the period from 1276 to 1299 A.D. As a result of this drought there would inevitably be numerous crop failures and also the supply of wild seeds and even wild game would be limited. Arroyo cutting and lowering of the water table may well have been contributing factors. This, together with the possible incoming of numbers of nomadic invaders, such as the ancestors of the present day Navajo, Apache, Ute, and Paiute, encroaching upon Pueblo lands and plundering their villages, undoubtedly led the Pueblo people into larger communities in areas where permanent water occurred. One of the significant trends, evident in examining the archeology of east-central Arizona, is the shifting frontiers of the Pueblos. This moved progressively farther south and west with time, culminating in the fourteenth century with the Salado migration which overran the Hohokam territory. The main reason for the earlier southward drift is the fact that the Anasazi, accustomed to a plateau environment, could keep to the same physical surroundings almost as far south as the Gila River. One of the best examples of this is the Natanes Plateau south of Black River where there was a great concentration of Anasazi. Figure 47.Wupatki Ruin in Wupatki National Monument, Ariz. The largest individual settlements on the Mogollon Plateau and in the country south of the Mogollon Rim on the upper reaches of the Salt River date from the thirteenth and fourteenth centuries, a period which also marks the time of the highest cultural achievements. Many of these are found in the environs of the White Mountains of eastern Arizona, one of the most densely populated areas of late prehistoric time. This coincides more or less with the shrinking of the northern frontiers of the tribal range and, as already mentioned, may be linked with either a period of climatic instability, the arrival of unfriendly nomadic peoples, or a combination of both. This late upsurge of population, with consequent introduction of new ideas, is shown by the construction of very large pueblos and the development of new pottery types, particularly polychrome wares. Glaze paint was developed late in the thirteenth century and was widely utilized. Black-on-white and corrugated types of pottery gradually disappeared during this period. The Anasazi (Pueblo) occupation of the White Mountain region ceased about 1400, a century or more later than was the case for the San Juan Basin and about the same time that we noted the withdrawal of the Saladoans from the Hohokam country. This was indeed a period of unbalance over much of the Southwest, the reasons for which are not yet clear. But in the White Mountain area there are more indications that the newly arrived Apache Indians may have had something to do with the upheaval. At all events, the frontiers of the Pueblos continued to shrink during the following century, with a gradual withdrawal into the drainage of the Little Colorado River. Here for the first time we encounter the modern inhabited pueblos of the Hopi and Zuni Indians, the Hopi living on three mesas a short distance north of the Little Colorado, the Zuni on the upper reaches of the Zuni River in western New Mexico. In this general area we also find abandoned towns of these same people of the early historic period and numerous prehistoric settlements through which the ancestral lines of these tribes may be traced. In 1540, when the first Spanish conquerors arrived in the Southwest, they found the descendants of these prehistoric Indians concentrated in about 13 pueblos in the Hopi and Zuni areas in the Colorado River Basin, and about 60 in the Rio Grande drainage to the east. It is in the drainage of the Little Colorado that the setting is at its best for achieving the aims of archeology, for following the history of the Pueblo Indians, determining how they adjusted themselves to their environment, with whom they were in contact, how they spread, and what they accomplished. It is in the ruins of this region that nearly two thousand years of continuous Pueblo history may be read. It is here, too, that the agricultural practices of the Hopi and Zuni, little changed from those of a thousand years ago, may be studied to gain a clearer insight of how man, without our present vaunted knowledge of plant culture and without domesticated beasts of burden, was able to achieve a measure of security. 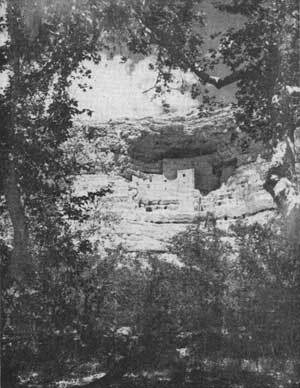 Figure 48.Montezuma Castle in Montezuma Castle National Monument, Ariz. The Northern Periphery.To the north of the Anasazi area lies an extensive region called the Northern Periphery, largely because it is related to the main southwestern area and because not too much is known concerning the prehistory of the region to warrant giving a more descriptive name to the culture or cultures found there. Future work will, no doubt, furnish us with more accurate and detailed information so that various cultures and sub-cultures will be recognized. This area, comprising the headwaters of the Colorado and Green Rivers in northeastern Utah, northwestern Colorado, and southwestern Wyoming, covers the extreme northern portion of the Colorado Plateau, with generally high terrain cut by numerous deep canyons and washes and culminating in high ranges that tended to form cultural barriers. In an area such as this there were relatively few opportunities for the practice of agriculture, which was confined mainly to a number of the smaller tributaries of the Colorado and Green Rivers. With such meager opportunities for the cultivation of crops on a large scale, there was a definite limit imposed on the size to which villages could grow. Consequently, the majority of archeological sites in this region are quite small, seldom exceeding 10 to 15 rooms. Archeologically, this Northern Periphery is characterized by a progressive fading of the basic Anasazi Culture pattern in proportion to the distance from the San Juan area. While the essential features of this northern culture are clearly derived from the Southwest, particularly from the Anasazi area, the cultural core cannot be directly correlated with the Basketmaker-Pueblo periods of the south. As mentioned previously, our knowledge of the prehistory of this area is scanty. Although a considerable amount of surface survey work has been carried on in many parts of the region, actual excavation has been limited in amount and restricted to a few localities. Thus, the following brief comments are largely based on field work in only small sections of this vast plateau country. Seemingly about a thousand years ago or more a knowledge of agriculture and pottery making filtered through this area from the San Juan region. These elements, together with others, were soon taken over by the nomadic peoples occupying the area and the foundations were shortly laid for a well-integrated culture. Information is lacking on these earlier nomadic hunters and seed gatherers and we can only assume their former presence over much of the area. The first definite culture we can delineate represents a blend of late Basketmakers and early Pueblo elements from the San Juan. It seems probable that most of the Northern Periphery never received to any great extent classical Basketmaker Culture as found to the south but only a mixture of Basketmaker and Pueblo. Thus, while this early culture is basically Basketmaker in pottery, there are enough early Pueblo elements, as well as some traits of local origin, to indicate an entirely different cultural picture than that in the Anasazi area. Certain parts of the area also reflect influences from the plains area to the east and northeast and from the great basin region across the mountains to the west. The basis for this complex was agriculture, corn, beans, and squash being cultivated wherever possible. This was, however, only a semi-sedentary culture, as the people still relied extensively upon hunting and seed gathering. This is indicated by the great number of arrow points, grooved arrow shaft smoothers, and horn arrow wrenches found in practically all sites of this period. The extensive use of coiled basketry similar to that made by the Basketmakers also tends to show strong reliance upon the gathering of wild seeds. Villages were quite small and consisted of a series of shallow pit structures or earth lodges, in many respects like Basketmaker houses, with adjoining slab-lined storagecists. Excavations in the Uinta Basin and adjacent areas have yielded information about these dwellings. Of the elements of material culture, plain gray Basketmaker pottery is most typical in the northern area, with the addition of a limited amount of early Pueblo black-on-white ware. Other features of this culture include fur and feather cloth, tubular stone pipes, twined bags, and the bow and arrow. 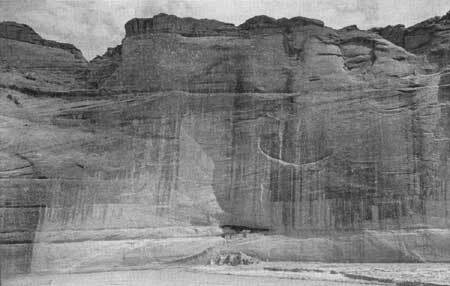 Figure 49.Betatakin RuinNavajo National Monument, Ariz.
At a somewhat later date the introduction of new elements and ideas from the southern pueblo region marked the opening of the second and final phase of this prehistoric northern culture. This period is characterized by a greater dependence upon agriculture, with the consequent construction of larger, more permanent villages. Formal architecture was introduced and rectangular masonry houses were built, with associated masonry granaries. Extensive use was made of caves throughout the area, numerous masonry granaries and houses occurring in these caves. Corrugated pottery was also added to the complex and greater use made of more elaborately decorated black-on-white pottery. It is evident from the foregoing that, in general, this culture is largely a southern complex which has moved northward. However, it lacked such distinctive Anasazi traits as domesticated cotton, the loom, the domestication of the turkey, twilled ring baskets, grooved stone axes and mauls, and such pottery forms as canteens, pitchers, ladles, and highly decorated wares. In addition, a number of other elements point either to a considerable admixture of ideas and features from other neighboring areas or to purely local developments. These occur particularly in the Fremont River drainage west of the Colorado River and include such traits as black-on-grey pottery, highly ornamented clay figurines, a distinctive style of moccasin, and an abundance of elaborate petroglyphs. The petroglyphs represent one of the most striking and characteristic elements of the Northern Periphery, being found in profusion over the greater part of the area. Anthropomorphic figures are especially common, as well as large human figures with elaborate headdresses, geometric designs, deer, and mountain sheep. Many of these seem to have been derived from Basketmaker prototypes, as the triangular-bodied figures, but in this region the art has been greatly developed and elaborated over anything found to the south. Perhaps the highest development of the petroglyph art occurs in the western and northern sections of the area in the Uinta Basin and Nine Mile Canyon. Just what happened to this culture we do not know. About 1000 A.D., or shortly thereafter there was a gradual shrinking of the inhabited area, the northern sites being the first to be abandoned. The general lack of classic Pueblo materials demonstrates that this cultural occupation came to an end before the period of highest development in the San Juan region. The strategic location of many sites in the Northern Periphery, such as forts, suggests that these people were subjected to pressure, possibly by hostile nomadic groups, at a relatively early date. If, as stated in a previous section, we postulated nomadic groups from the north as being a deciding factor in causing the abandonment of the San Juan region during the latter part of the thirteenth century, such pressure would have occurred still earlier in the areas to the north. Furthermore, the general precariousness of farming in this area may also have influenced the abandonment. All that can definitely be said is that after approximately 1100 A.D. we completely lose sight of these people. Where they went can only be conjectured. For the past several hundred years the nomadic Utes have been occupying a large part of the region.